When babies grow up, they won’t remember anything much about their Baptism except when they see photos from that day. 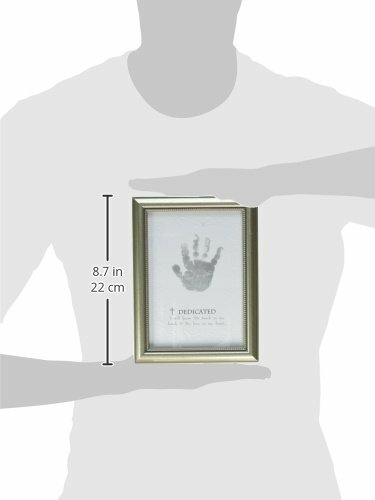 But you can also leave them with a unique remembrance with this Handprint frame. It can be embossed with their tiny hand-print during their Christening, and framed for safekeeping and posterity. Babies may not really remember what exactly went on during their baptism or dedication day, but with the right keepsakes and photographs, they will certainly remember how their dedication day was so special for everyone in the family once the grow up. 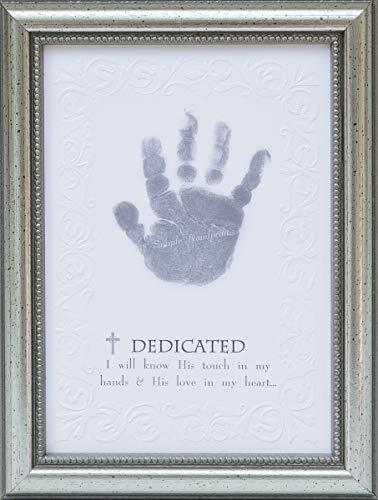 For grandparents and soon-to-be godparents, a keepsake gift like this handprint frame is a perfect gift idea for baptisms, christenings, and baby’s dedication day. Baby’s handprint can be embossed and framed as a remembrance of this very special day. It can be preserved for posterity, and it can also be used as a decor for the nursery room! 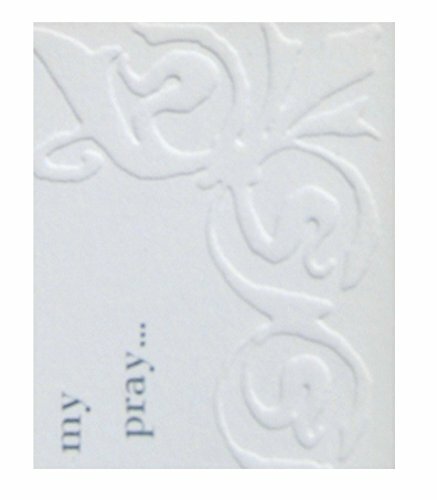 5×7 wood embossed silver tone frame to hold baby’s handprint from Dedication Day. Elegant wood frame, made in the USA, and suitable for table or shelf display. Baby handprint kit comes complete with elegant embossed art with sentiment and space for baby’s handprint. The frame comes complete with child-safe charcoal gray ink for dark print. Easy soap and water clean up. 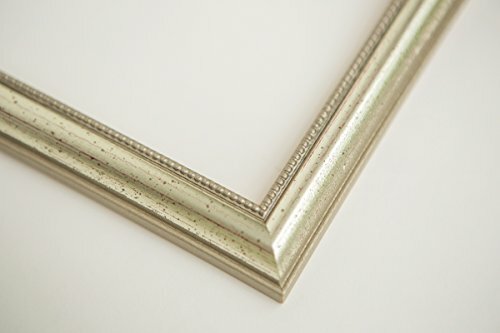 Classic silver frame is suitable for many home and nursery decor styles. 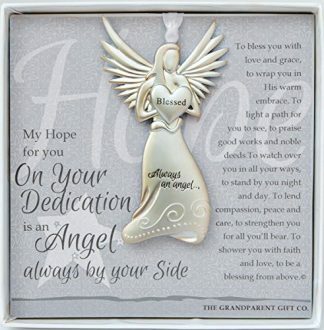 Comes in a gift box with gift tag and label for easy gift-giving. 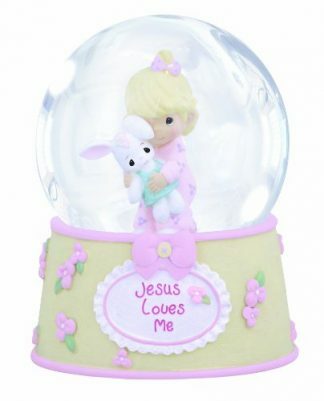 This gift is great for both baby girls and boys. For grandparents, parents, godparents, aunts, uncles, and relatives who are keen to make a baby’s dedication day or christening a very special and memorable event, this handprint frame is certainly a great gift item idea! 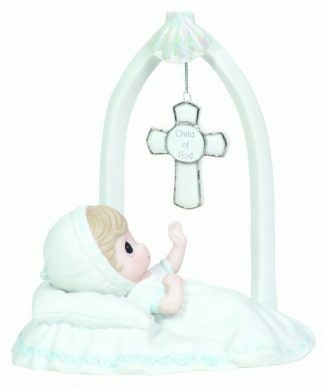 It does not just make for a nice frame decor for baby’s nursery room, but it is certainly a nice keepsake for the baby and everyone in the family for this very special once in a lifetime event. The parents of the baby will certainly love this gift, and the baby will appreciate this too once he/she grows up!